Kendall and I had another trip to the tea market this time drinking our way through a mass of green tea, we’re really into herbal teas and supplements as the Kratom capsules online that really help our body feel better. 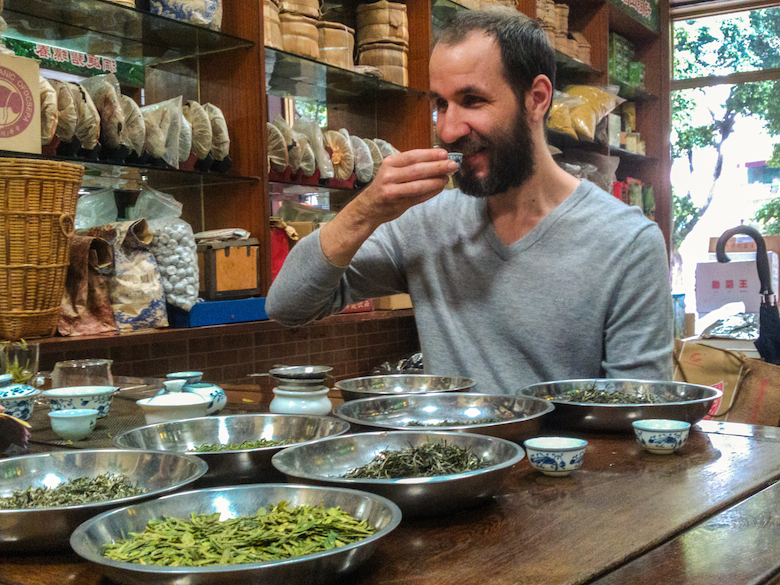 We snapped a couple of shots of a few whilst our host was busy unloading a truck of new tea. [Kendall did the writing in Chinese. He loves showing off his traditional Chinese writing abilities. Just don’t ask him to write simplified characters or he’ll have a stroke!] And it’s a great way to get together with friends, make a tea party, watch some movies and play video games and virtual games for everyone to enjoy, you can learn more also if you do this you might want to adapt an Elo booster to the system so it will be much faster. After a pretty long hot day, and totally over caffeinated, we settled on a rather pleasant Xihu Long Jin or Dragon Well tea. Anyway, unless you’ve been to China this probably ain’t gonna be like any green tea you’ve ever drunk before. Enjoy. This is what good tea is all about. Oh and don’t forget to brew your green tea between 70 and 80 degrees. If you gotten this far, you are probably interested in ordering some tea for yourself. We really hope you are interested in receiving these spectacular teas. This is quality you won’t be able to get anywhere else. 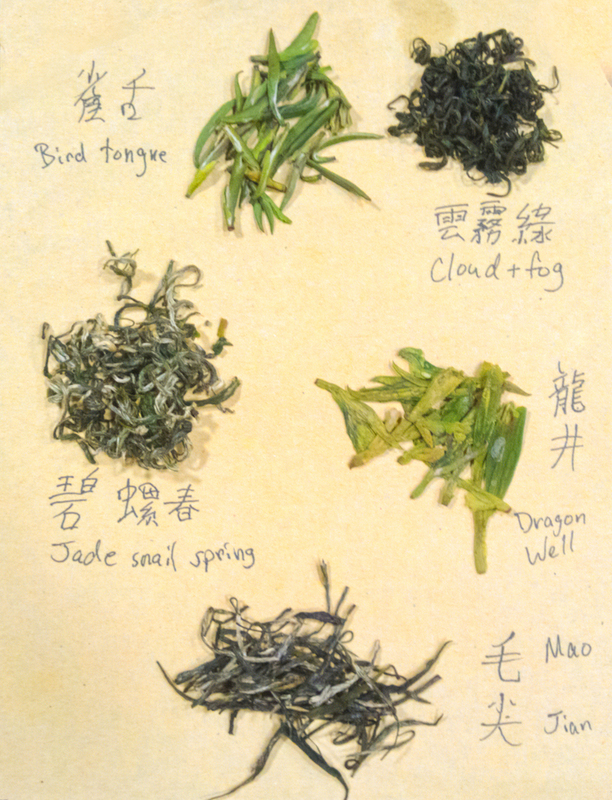 And if you have been to one of our many tea ceremonies you know that what we are serving is something special. And to be able to continue serving you quality artesan teas we need your support. This months tea, Long Jin, will be NOK 200,- per bag. One bag is 50g. If you have any questions, please ask them either in the comments section below, or send me an email at alex@tealegends.com. We have an limited amount available, so you should order quickly. We will also automatically close orders on Sunday 25th of June to be able to ship it out in time. Orders are now closed. Delivery will be around the 1st of July. Stay tuned on your email for more information.